In “Allegiance” by Mary Flinn, pharmacist and mother Keri Slater is feeling frumpy and distant from her husband Logan. Logan is a combat medic about to go on his fourth tour of duty. Keri and Logan are very close friends to OB and Candy. OB is going to go on deployment with him. Candy is younger and has the kind of looks that draw a lot of attention from men. This hasn’t been a problem for Keri, until she accidentally overhears a conversation between Candy and Logan. She is devastated to learn that they created a baby together and it is obvious Candy is in love with him. Keri and Logan don’t have time to really hash the situation out, so when he leaves, she does not plan on him coming back to live in their home. Keri is absolutely devastated. She feels she has lost the father of her children, who is also the love of her life and her best friend. Caught up in anger and hurt, she refuses to discuss it with either of them and is horrified that she must watch Candy’s pregnancy develop because she lives across the street. Shortly after Logan leaves, things go downhill for him and Keri must step in as the mother of his children, pull herself together, and take things day by day. Fortunately, she has parents to help her through, but no one in her family can believe that Logan would be capable of betraying her. As she reminisces back through their relationship, she remembers how it felt to fall in love with a strong loyal man, with whom she declared her allegiance to when she married him. “Allegiance” really sucked me in. As Keri was falling in love with Logan, I felt like I was too. He seemed like the perfect, loyal man. Even if he tended to be stoic, he seemed like the kind of man who had integrity and would not let someone down. As Keri listened to the conversation that she wasn’t supposed to hear, I felt sick to my stomach. I felt devastated for Keri and her children and disgusted with her best friend. I could not see an easy way out of this situation, but the author threw a twist into the story that made the situation very different from how it originally appeared. The healing that comes from it was amazing. 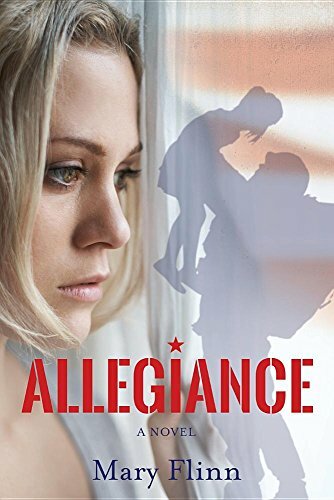 "Allegiance" by Mary Flinn tells a compelling story that made it impossible for me to put the book down until I finished!